The Mines Press and its collection of multi-purpose tax return envelopes, will dress up every tax return and report that leaves your office. 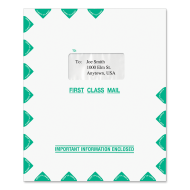 We have the largest selection of quality Tax Envelopes and Tax Software Envelopes. We understand that the way you present your work needs to match your firm's professionalism every step of the way. It's imperative that your firm carries an image that matches its professionalism and represents your brand every step of the way. 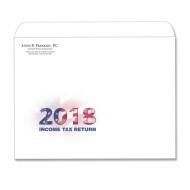 Our tax organizer envelopes have been carefully designed to dress up every tax return or report from the moment they leave your office, until the moment they reach your client's hands. 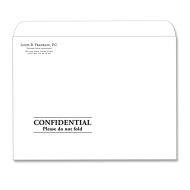 Our multi-purpose tax envelope designs include “Confidential” and “First Class” envelopes, with optional windows, to showcase only the required information for easy handling and sorting. 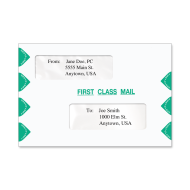 We are confident that this collection of tax mailing envelopes, along with our personalization options, will allow you to find the perfect solution and fit this tax season.